+$What's the Monzo identification number doing on your UI, Halifax? +$Last week, major British bank+$Halifax Rebranded+$, with the bank shedding the stuffy, intimidating air long associated with the financial industry in favour of something altogether softer, cooler, and more welcoming. 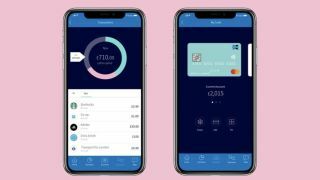 +$It's an approach made popular by Monzo, the mobile-only challenger banking app that launched in 2015. While mimicking Monzo's super-successful approach is probably a smart (if a little lazy) move, it looks like Halifax might have taken its appreciation a little further. +$One of the images circulating online at the moment shows a new-look Halifax app interface – but the BIN (bank identification number) on the card is Monzo's. Monzo CEO Tom Blomfield pointed the 'unusual' error out on Twitter. +$Awks. To be fair, the Monzo app doesn't bear a huge resemblance to the shared Halifax UI design, but you have to admit it's still a fairly suspicious slip-up. The image looks like it can be traced back to a Design Week report, although it has since been removed from the article. 鲁弗斯伦纳德+$, the design studio responsible for the rebrand, responded with a Tweet commenting that the design was an "early-stage mockup" that had been rejected by Halifax, and that the new Halifax app design would be revealed soon. +$In a statement to+$FT.com+$, Halifax echoed the design studio's comments, saying: "This is one of many early mock-ups of a potential redesign of the Halifax app, but one we’re not going to use. We look forward to revealing our new look app soon. Halifax brand redesign is rolling out to customers throughout this year. Our design agency have apologised to us for the inadvertent release of one of their concept images, but we have told them 'No harm done'." +$We'd suggest there have been at least a few stern words to the designers responsible, but perhaps Halifax is trying to keep that new, friendly face in place a little longer.